How we expect to make a game like this without a powerful Archmage capable of rising creatures from dead? In this post, we are going to cover the creation process of the concept art for one of our most beloved Archmages: the Necromancer. Adrián Fernández Delgado has joined us as a new collaborator in our team for helping us with concept art. (http://tortugamarina.wordpress.com), an illustrator specialized in comics and character design. Here we will show you part of his workflow giving birth to our new Archmage. The character we would like to write about today is a steampunk culture representative, a man whose force raises from a synergy with mystical powers, channeled through a variety of technological systems. These systems allowed him to become a hero from a simple mortal, and fight for his class in this apocalyptic duel of archmages. As we wrote previously, we had already the final concept. It may not be very detailed, but it is enough to start with the 3d modeling. In this simple concept, we can see how the character owns a pair of fundamental mechanical elements: the cannon backpack and the robot arm. As we already explained during the Rune Carver modeling process, this elements were modeled separated from the character, so we could replace them later during the game and allow you to customize your Archmage with unlockable skins. After a crazy end of the year and the release of our first gameplay video, we are very excited about the path that Archmagia is taking. We now aim to grow our supporting community and show Archmagia to the world. 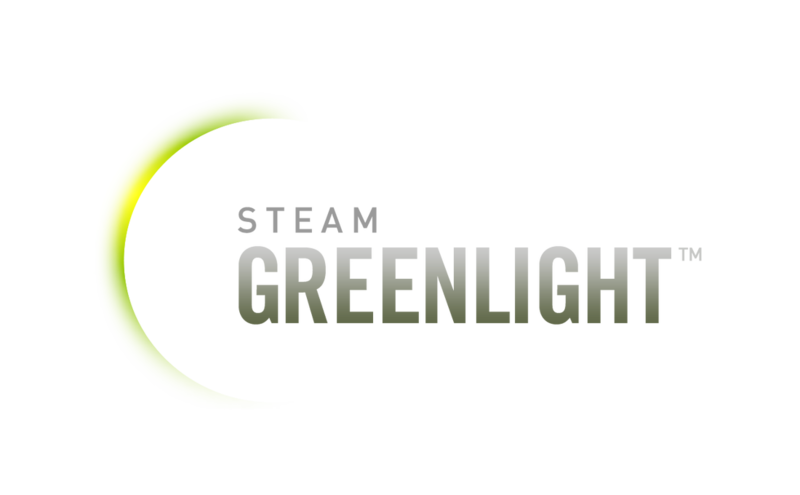 With this idea, we have created an Steam Greenlight Concept to show our work. If you are a Steam user and you like what we are doing here, we invite you to visit it and rate us positively. You might even follow and favorite us! Thank you very much, 2014 promise to be a great year for Archmagia. It has been a while since our last update. Our aim a couple of months ago was to show some gameplay of Archmagia before the end of the year. Well, we finally did it. It was an enormous task, and a lot of efforts were invested, but we finally can show you some minutes of gameplay. Today we bring you a really quick update. 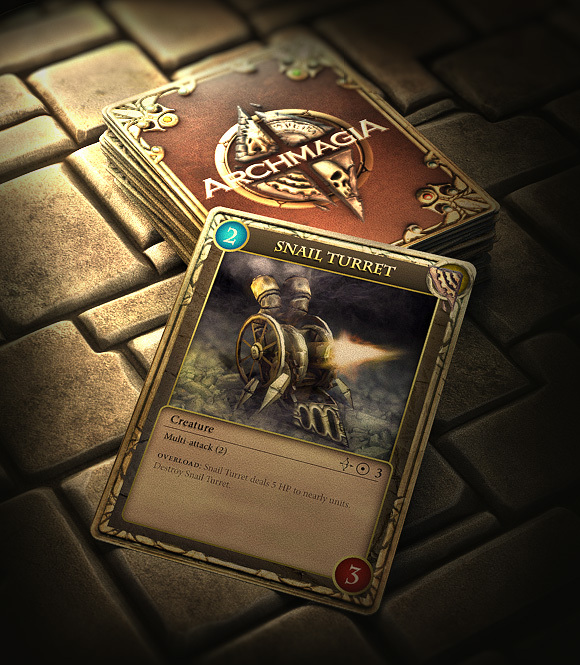 We just wanted to share with you the preliminary card design for Archmagia. Although we have introduced several innovative features in the traditional trading card games style, we still want to keep the cards as an important elements of Archmagia. You will soon be able to see a preliminary user interface design with fully integration of all the elements we have been working at lately. We hope you enjoy our designs! And remember to share your comments and thoughts! Last week, we showed up our preliminary work on our first environment: the Ancient Mines. 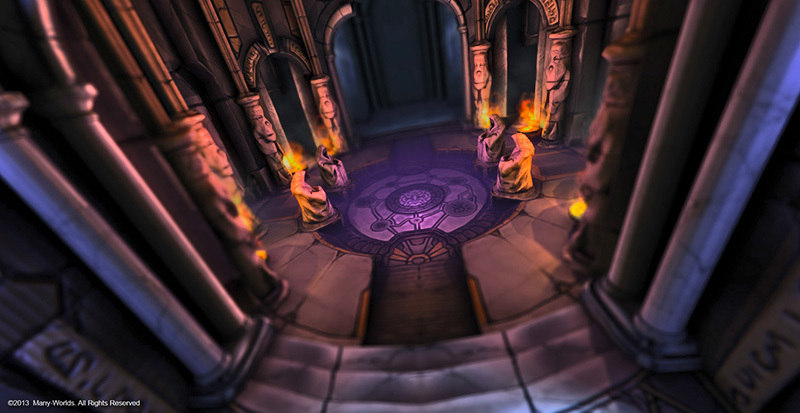 After integrating it in Unity3D, we realized that it didn’t fit our needs, so we started over again with a new approach: a cleaner scenery with more space for the summons, and an interesting strategic component. We have been working on it for several weeks, and it is ready. Technomancers are the second class of powerful Archmages that can be found in Archmagia. They use Archmagia to create steam-powered devices, robotic creatures, nano-machinery, and other high-tech weapons and equipment. Yesterday we published a new thread at the Unity forum, inside the Work in Progress section. This forum is very important at professional level, and it is a great place to show all the work being done with Unity. Our plan is to keep posting on this development diary and also publish some fresh updates from time to time on this new thread. 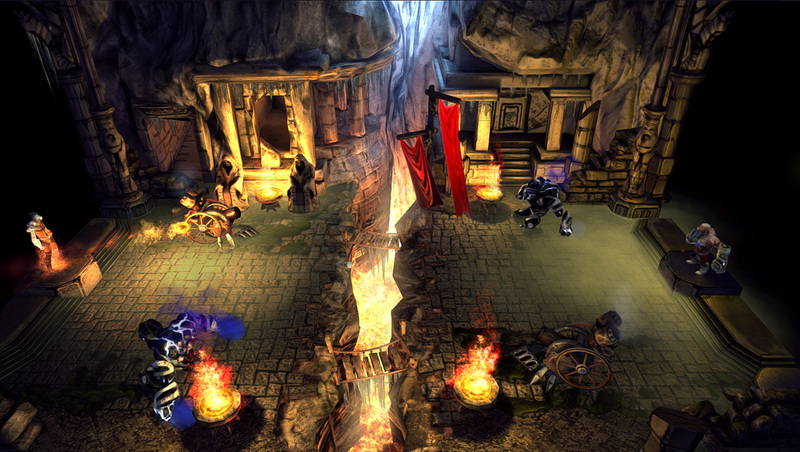 This updates will be related to Unity 3D and how we use it to develop Archmagia. Anyway, you are of course invited to go there, take a look at it and give us your opinion in a more professional environment. By the way, a little secret: we have included in this thread some brand new material not shown here yet! This is the link to the thread. Yo may go there too by clicking on the Unity logo. Please remember to share your opinion after reading it!